Your resume is extremely important in finding a job and is the biggest factor in whether you get the interview or not. 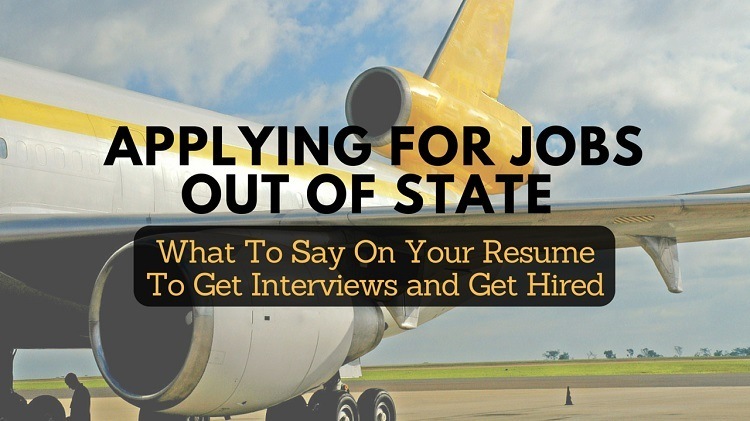 Living in one state (or country) and applying for jobs out of state makes it even more vital. And one of the biggest hurdles is how to list your location on your resume when applying for jobs in a different state. Hi Biron. I’m living in San Francisco and trying to move to Denver. The problem I’m running into is that I’m not receiving any interviews and I’m guessing it’s because there are local applicants that are equally qualified. I believe I can interview better than them and prove myself but I need to get into the interviews. My address and phone number on my resume are a dead giveaway that I’m living in the Bay Area. Do you recommend that I lie on my resume to get a job interview? Let’s look at the pros and cons of both options so you know what you’re up against. Then keep reading because there’s a third option that works pretty well too and you won’t want to miss it. 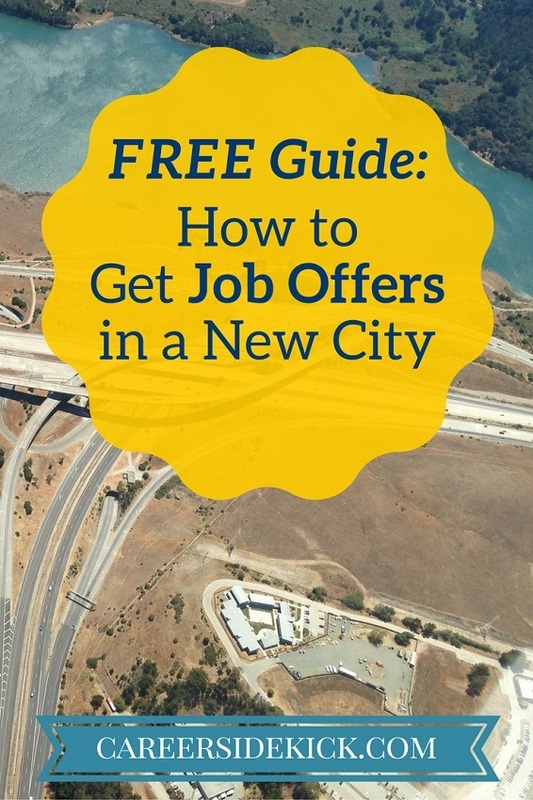 When applying for jobs out of state, one strategy is to use a friend or family member’s address in that city, or just list the city without a street address on your resume. Or make up an address. Lying on your resume will probably get you the initial phone interview, but there are a few problems with all of these tactics. You probably don’t have a local phone number to put on the top of your resume. You can’t hide everything. You’re beginning the interview process with a huge lie. Even if it doesn’t get uncovered, you’ll be more nervous during the process and it won’t feel as comfortable. If everything goes well on a phone interview, they’ll invite you on a face to face interview and you’ll have to cover all of the travel expenses since the company thinks you’re living locally. Some companies do multiple rounds of face to face interviews! And finally, when you’re offered a job, they’re probably going to mail the offer letter to the address you provided. Also if a company offers relocation assistance, you might lose out on that because they think you’re a local candidate. This option is simple, and chances are you’ve already tried it. Accept that some employers won’t want to interview you, but continue to list your full out-of-state address on your resume. Some companies only consider local candidates. This will limit the number of opportunities you’re able to interview for. Not every company will be open to interviewing you, even on the phone. Still, I would try this option for a couple of weeks to start my job search. It’s a good place to start because it’s the safest, assuming you can get some companies willing to talk to you. The only risk is spending time applying for jobs and finding out you’re not getting enough responses or interviews. This option is great if you don’t want to tell a flat out lie, but you’re not getting enough interviews telling the truth on your resume. Here’s what to do… Put your name and phone number on your resume, but don’t list an address. Where you’d normally put an address, instead say something like “Relocating to Denver in March 2017”. (replace ‘Denver’ with whichever city the job is in). Using this approach to apply for jobs in a different city or state should get you a higher number of interviews without having to lie about where you currently live. This is still a bit of a lie, since you’re probably not going to relocate without a job offer, but it’s also quite true- your goal is to find a job in the new city, and your plan is to relocate to that city if you can find a suitable position. This will get you the greatest number of phone interviews and will keep your resume out of the garbage pile. If you do ask you an interview question about this in the first conversation (they probably will), you can tell them you plan on relocating either way but you are trying to secure a job beforehand. That will put their mind at ease and quickly convince them you’re serious about finding a job in their city. Just like Option #1, there’s a chance that you could lose out on relocation assistance if you say you’re moving to their city no matter what. It’s not very likely but it’s possible. With most companies, they’ll still offer to help if it’s a part of their benefits package though. Very few companies will try to weasel out of paying relocation assistance. The ones that do, you probably don’t want to work for. So this method has a lot of potential and very little risk. I recommend giving it a try. If you read this article and didn’t just skip to the bottom, you know the most important thing I recommend on your resume to get more interviews when relocating. “Tailor” your resume bullet points to match the job description. If the first responsibility they list is project management, try to make your first bullet in your Work History section be about project management. Do this for the top 2-3 bullets in each job in your Work History section. Even if you’re looking for a job after college and have no work experience, you can mention a project you managed in school. Write great cover letters that are tailored to the company and show them why you want to work in their specific job, and why their city or state interests you as a place you want to live long-term. Try to use your network to get introduced to companies whenever possible. This is often the fastest way to find a job because companies immediately trust you more when you come recommended. The importance of this becomes even greater in an out-of-state job search where companies really need a reason to consider you over local candidates. Now that you know what to do, you’re ready to start applying for jobs in a different city, state or even country. Use the tips above to get more interviews, and if you have a question on anything we covered, leave a comment below! If you’re job searching in a new city, I think you’d love the step-by-step interview guide I just created. Each interview counts for a lot when you’re relocating; I’ve done it first-hand and know it’s harder than the typical job search. But it’s still doable! If you want to go into your next interview feeling 100% confident and well-prepared, you’re the type of person I had in mind when I created this guide. You can read about it here. Like this post? Pin it to save for next time you need it!